Hello again, dear friends! As much as I had hoped that things would get easier as my little punkin grew and matured, and I would have lots of time to blog, it turned out things just get… different. 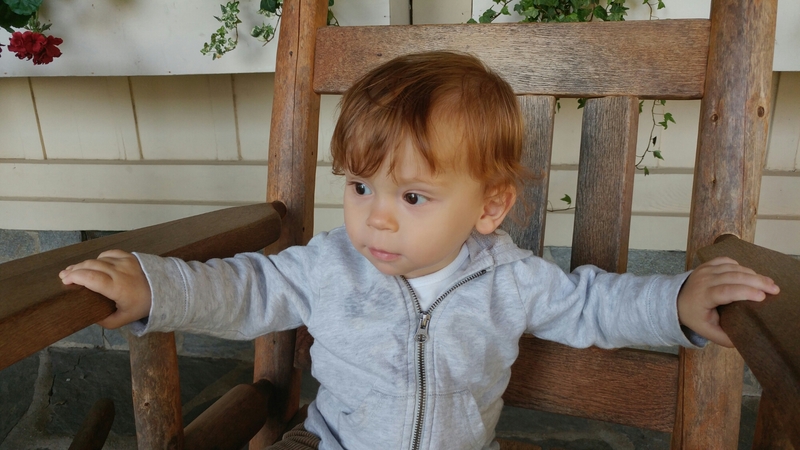 The time that used to be dedicated to nursing, rocking and diaper changing is now dedicated to chasing around a very active and curious little boy – picture below, just because I love him so. And while the cooking has remained plentiful (because let’s be honest, you can just make ONE meal and expect a toddler to eat it), the time for picture- taking and blogging has been scarce. 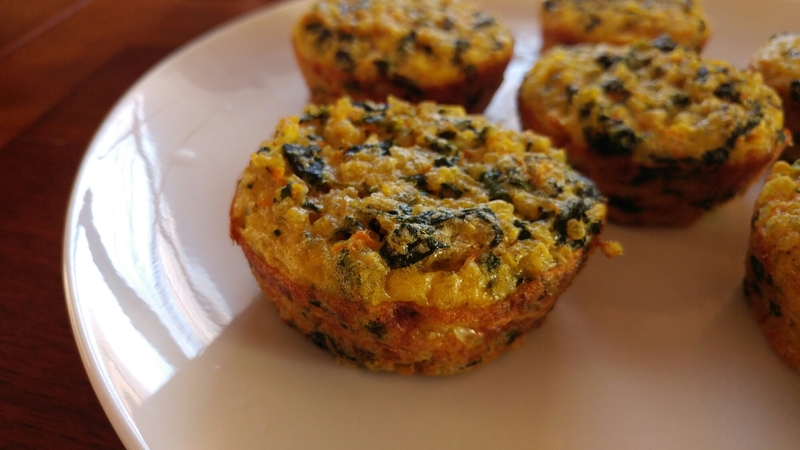 But these little quiches… Muffins? Patties? Call them what you will – were so easy, fun and packed with nutrition that I just had to share. 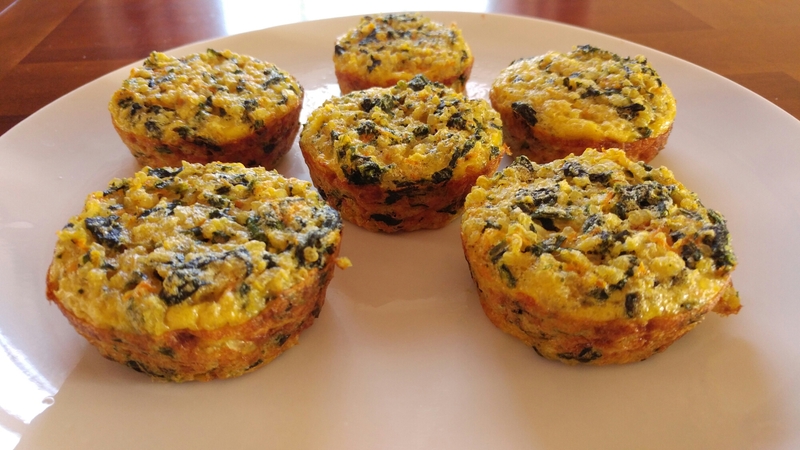 This recipe makes 6 of the mini-quiches. 1 cup cooked quinoa. (I cooked it earlier in the week for a different recipe and purposely made extra – it keeps just fine in the fridge). 1 cup of equal amounts grated carrot, finely chopped onion, chopped spinach ( I used frozen and thawed). But the beauty of these little bites of yumminess is that you can add whatever veggies you have on hand. Add a bit of shredded cheese, if it strikes your fancy! I did not, because my punkin has a dairy allergy. Mix all ingredients together, and pour into greased muffin tins not quite all the way full. Add water to the empty spaces. Bake for around 20 mins at 350F. You can eat them warm, toast them up the next day or freeze for later – they are a great little snack or breakfast packed full of nutrition that can be eaten on the go!